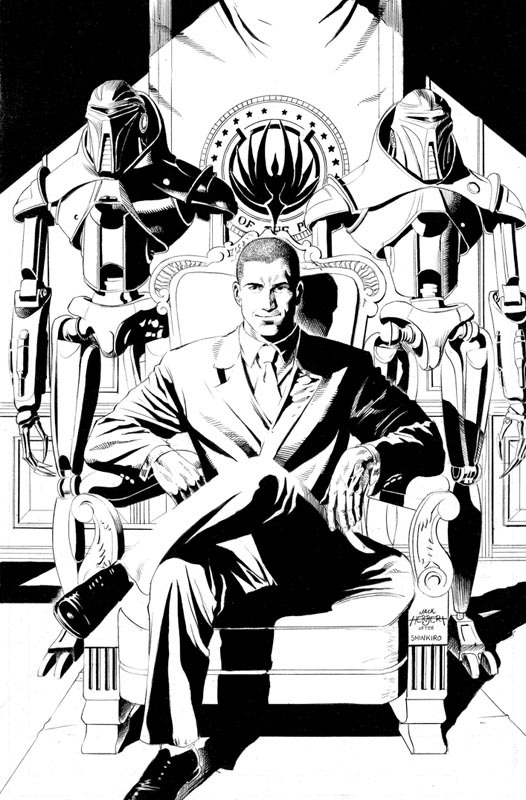 Description: Illustration produced by Jackson Herbert for the cover of issue # 9 from New Battlestar Galactica Season Zero. Jackson used as a reference illustration of Shinkiro (the poster for the game FATAL FURY - REAL Bout of SNK). The color was responsible for the Adriano Lucas, who worked with Jackson on various editions of Battlestar Galactica.